Like many foreigners arriving in a country for the first time, when I first set foot in Poland I was keen to soak up all the traditions and customs that it had to offer. 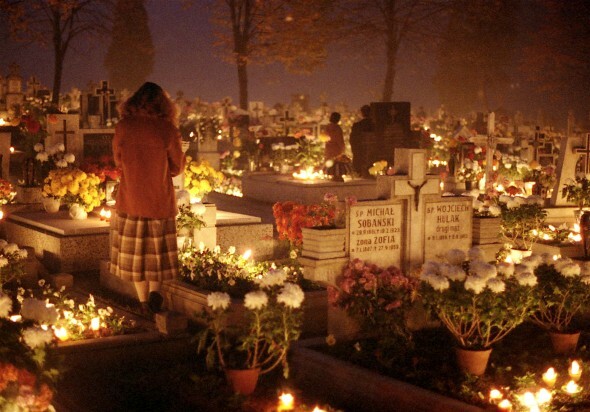 Whilst there are plenty to choose from – many involving great food and long celebrations – perhaps my favourite is the tradition known as ‘All Saints’ Day’ (‘Wszystkich Swietych’). The first time I experienced this day I was blown away and completely moved – not only by the amount of respect that people had for their loved ones but also by how beautiful the graveyards looked filled with candles and gifts of remembrance. In order to keep up the tradition, every year myself and a group of foreign friends here make our way to the local commonwealth graves armed with a collection of candles and wreaths so as to pay our respects. While the day is perhaps not one of celebration, it’s certainly one of my favourite Polish traditions and a tradition I wish we had in the UK.